For any sort of minor or major plumbing work, you can rely on us. We at London Local Builder provide qualified plumbers in London. We are also experienced in offering reasonably rated service for keeping your mind at ease. You can count on the efficiency of our professionals for residential or commercial works. No job is too big or small for us. Given here are some good reasons for hiring us for a plumbing job. Interestingly, the reasons specified here is what we generally hear from our valuable customers. This makes us feel more confident. Prompt solution and nothing else! This is exactly what we at London Local Builder believe in. We have a firm believe that our team of excellent plumbers can provide an adequate solution to all problems. We assure that you’ll be gaining satisfactory result from our professionals. Our proficient team of plumbers is trained for diagnosing the defect within minutes. As soon as it is detected, they begin their process of rectifying the faults. 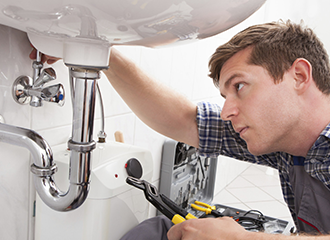 We proudly serve our customers with a wide range of services including plumbing. We can also be contacted for tiling job, carpentry, plastering, etc. Contact us as soon as you detect a leak!